Trump Gothic Pro font designed by Patrick Griffin and published by Canada Type, is a digital reincarnation of the famous George Trump’s 1955 Signum (Western script), embedded itself in Stanislav Maršo’s 1956 Kamene (Eastern script). 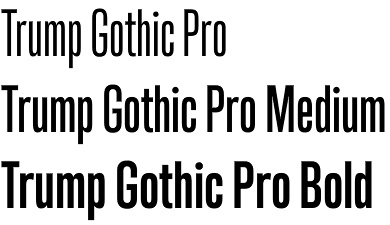 The Trump Gothic font family originally emerged in some late 1990s and early 2000s movie projects. Since 2005 meeting general public, it can be seen often in movie credits, on posters and magazine covers, in fashion branding and on corporate web sites. Although Trump Gothic enjoys many attempts of imitations, its distinctive completeness, aesthetic, and functionality remain unattainable. 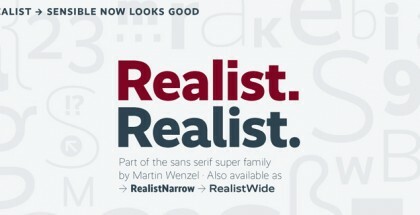 Key feature of the font family is lying in its compactness which favours placing large packs of information in tight spaces, while keeping beauty and eligibility. 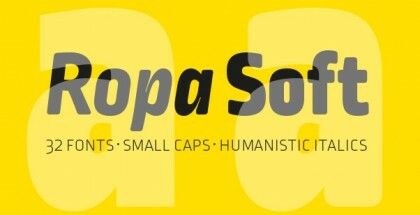 Trump Gothic font family was redesigned, refitted, optimized and significantly expanded in 2013, and the result is Trump Gothic Pro, a multiscript family of six fonts, each containing over 1020 glyphs and a wealth of OpenType features, including small caps, caps-to-small-caps, stylistic alternates, unicase/monocase alternates, fractions, ordinals, class-based kerning, and support for Latin, Cyrillic and Greek locales.